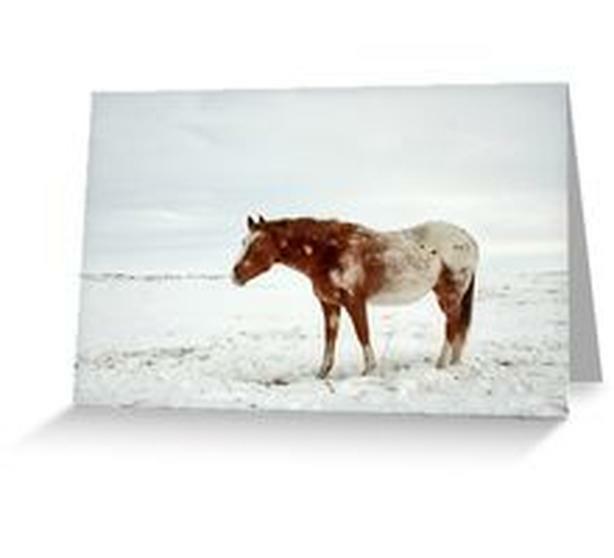 Appaloosa horse on the Prairies in Winter, Greeting Cards, great new design, also available on other great gift items, see in our store. Big beautiful Appaloosa horse in winter, in western Canada on the open prairie. Born tough, built tough, like a rock. Photo by noted photographer and artist, Bryan Smith. His unique work has a special quality, that makes it popular among many. More of his fine work is featured in our store, available for your enjoyment on a wide variety of gift items.